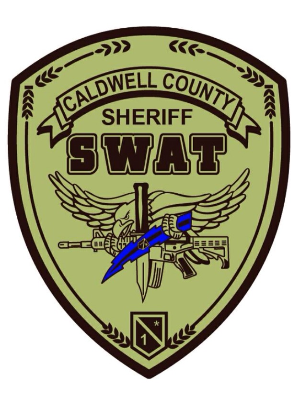 The Caldwell County Sheriff’s Office SWAT Team currently has 10 active operators . The Team is currently made up of Lt. Jonathan Kirby (Team Leader / Trainer / Master Operator), SRO Erle Davis (Assistant Team Leader / Master Operator), Detective Roger Crosby (Trainer/ Master Operator), Cpl. 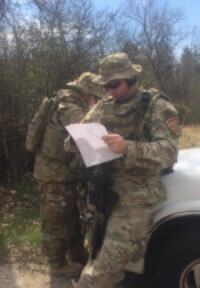 Phillip Watson (Master Operator), Sgt. Bennett Grout (Operator), Deputy Paul Exon (Operator), Deputy Jacob Head (Operator), Deputy Bryant Matherly (Operator), Deputy Jan Riddle (Operator), Scott Fox (Team Medic) and Chuck (Team Robot). 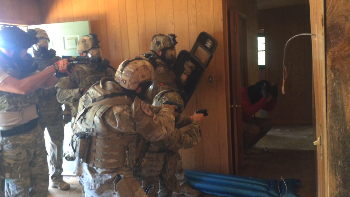 The SWAT Team is comprised of personnel that have successfully completed Basic Special Weapons and Tactics and Sub-Machine Gun Operator Schools and have been tasked with carrying out highly dangerous missions that may require unconventional tactics or equipment. 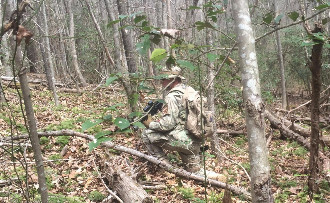 Monthly Mandatory training is completed which involves, close quarter battle tactics, woodland operations, building entries and clearing, various range drills, physical fitness, subject control and arrest techniques, chemical munitions, distraction device operations, less-lethal impact munitions and various other tactical training involving primary and secondary weapon systems. These operators are on-call 24 hours a day to assist officers if the need arises.